Stay tuned for our next Soul Movement Session! participating in the playshop with two of my friends was a fun and positive activity to do together. We had a lovely discussion afterward talking about how we all need to take time to do things that may not be comfortable for us, they were timid to dance freely, while I’m not comfortable with painting. We all left feeling so invigorated. 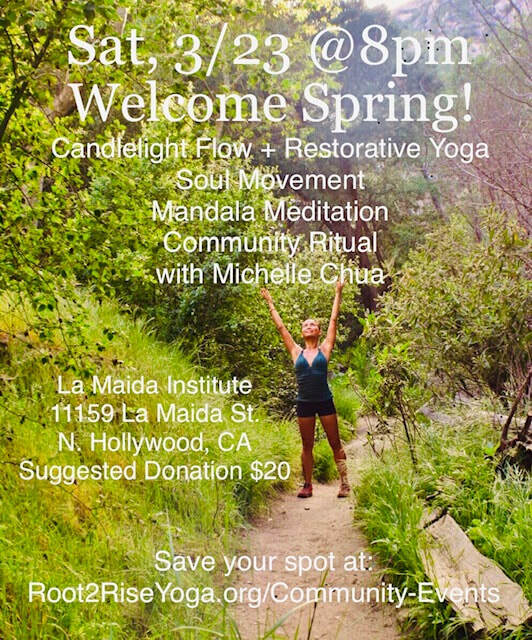 When Michelle creates this sacred space of inner conversation the Universe flows within and there is so much joy just being there in that moment! 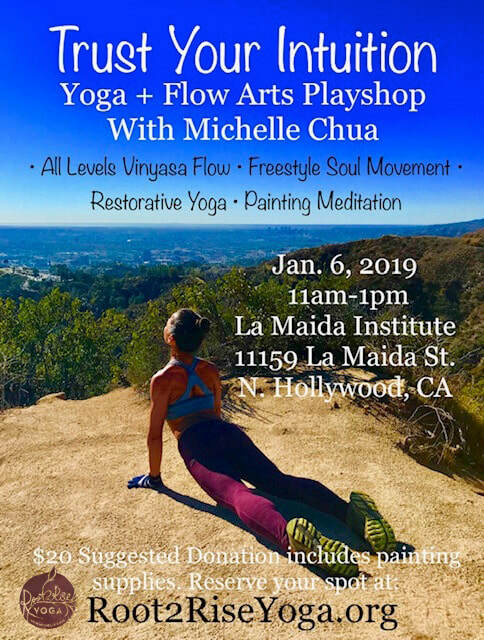 This specialty class is an open movement playground to empower you to experience creating genuinely from your heart, releasing self-limiting inhibitions and strengthening your courage to shine your light in everyday life through your body as instrument. You’ll warm up with guided Vinyasa Flow for all levels using familiar movement vocabulary and breath awareness and ease into a facilitated exploration of your personal kinesthetic tools for expression. You’ll ride the wave of each moment, musical rhythm and breath, as your body feels open to play with spontaneity. Encouraged to cross the boundaries of conditioned moving, you’ll practice allowing pure energy to flow through you. All experience levels of movement are welcome, as diversity enriches the community space. We'll wind down into Restorative Yoga to deeply open our bodies in the wisdom of stillness, practicing the art of surrender as we move into seated meditation. 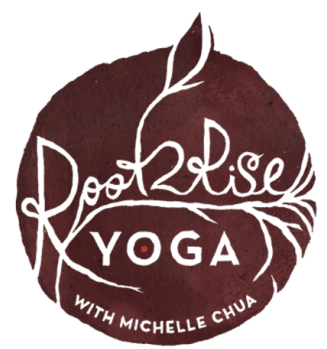 Want to invite Michelle to facilitate a Soul Movement session at your event or studio? Inquire on the form below. I loved every day in this class! I felt challenged but not defeated after every session...getting stronger and building endurance. The freeform dance sessions were great stress relievers too! This class really helped everyone unwind...calm everyone's state of mind, overall being and shyness. ​Freeflow Movement Meditation, on our blog here. ​As a dancer, runner and all-around body mover, I've discovered that my most rewarding practices of meditation have been through mindful movement. In these moments, I’ve arrived at creative insights, detoxified from negative emotions, released stagnant energy (mentally or physically), filled up with teary-eyed joy for simply being alive and learned to listen to, love and appreciate my body and its inherent wisdom. It’s been an empowering practice of inner connection to the greater universal flow of life, where I've played with trying solutions for challenging decisions and learned to let go and trust my inner being and universal consciousness, or source. In freeform breath-led soul movement, I've found inner stillness, and I'm inspired to share this liberating practice with you.